These tunnels connect their nest to the burrowing points. Tunnels provide a pathway from nests to the point of infestation and also protect the termites from predators like birds. In places where they cannot burrow through, the tunnels pass on the surface. Tunnels are clearly visible and even if you destroy them, the termites reconstruct new tunnels. Discarded wings can be seen on house access-points like doors and windows. Swarming occurs when termites are looking for a place to mate and produce a new colony. Termites that reproduce no longer need wings so they discard them off. All wings are of the same size and transparent in appearance. Noticing termites’ wings is a sign that your home is under infestation. Termite infestation can compromise the strength of roof’s supporting structures. As they burrow and tunnel through, the structural integrity of your ceiling is deterred leading to sagging of the ceiling. The moisture released by termites can also be absorbed by the wood in the ceiling. This results into wood softness which eventually jeopardizes the ceiling integrity. Ceiling damage can compromise your whole roof if you don’t do early repairs. Dry wood termites nest in the wood itself. 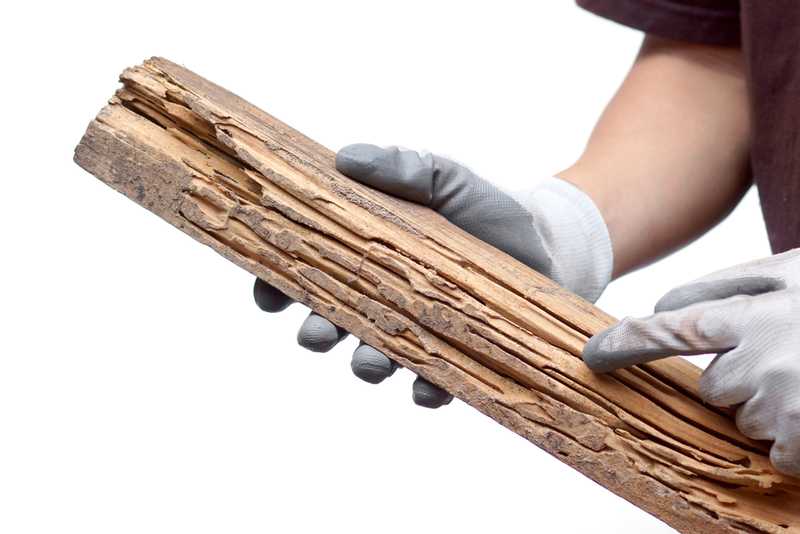 They infest the wood and create hollow channels by disposing the excrement to keep the galleries clean and spacious. What you see are mounds pellets in the form of saw dust like materials. Once you notice pellets, just know that termites have infested your home and you need an immediate intervention to eliminate them. Termites’ infestation is a gradual process, starting on one part and spreading from place to place until your whole house is occupied. They form colonies every now and then so the more they stay, the more they increase in number and damages. At tender stages infestation, there may be no signs at all especially if they start invading the roof. For this reason, always be vigilant and practice termite prevention interventions.